Elegance, strength, and product integrity, all in one beautiful product. Come visit our brand new 172,000 square foot manufacturing plant! Protect your investment, increase curb appeal, and maximize your energy savings. Provide top quality products that are durable, meet state and local specifications, and bring aesthetic value to your projects. At EAS, we pride ourselves on being fair, upfront, and honest and have a shared goal of exceeding your expectations and needs. 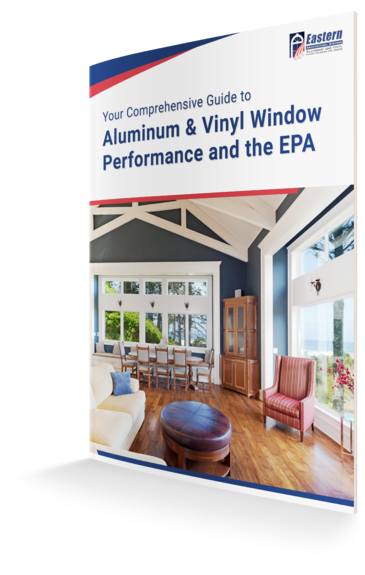 Your Comprehensive Guide to Aluminum & Vinyl Window Performance and the EPA! This comprehensive guide covers an array of topics helping you better understand the importance of using quality, durable, low-maintenance materials and more.